Juventus sign Ronaldo from Real Madrid – Royal Times of Nigeria. Italian champions Juventus have signed Real Madrid forward and Portugal captain Cristiano Ronaldo. Five-times world player of the year Ronaldo signed on Tuesday, the La Liga club said in a statement. 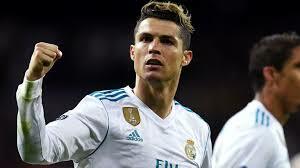 Ronaldo, who joined Real from Manchester United in 2008 for a then world record eighty million pounds, is the Spanish club’s all-time top scorer with 451 goals in all competitions and won two La Liga titles and four Champions League trophies with them. Boxing in Nigeria needs more promoters, official says.